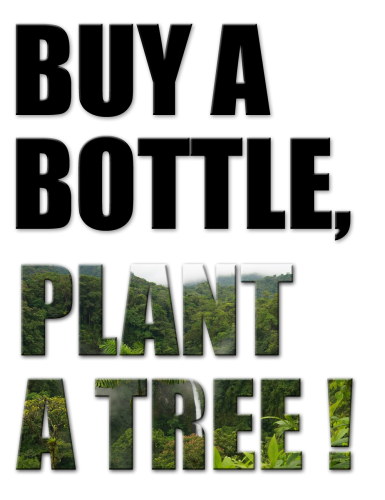 GreeNatr’s “Buy a Bottle, Plant a Tree” campaign in partnership with Trees For The Future now aims to plant 70,000 trees by the end of 2019 with the help of fitness, weight loss, and health enthusiasts. Florida, United States - March 25, 2019 /MarketersMedia/ — A tree is planted for every vitamin and supplement bottle is sold by GreeNatr.com, and the number of trees planted recently reached 50,000, which is a milestone not only for health and weight loss diet enthusiasts, but also for the planet as a whole. To celebrate this big achievement and get more trees planted, GreeNatr announced a “Free Bottle” campaign for first time customers who are into weight loss for bodybuilding, improved focus for professionals, and generally people who wish to have a healthier lifestyle. In order to qualify, interested individuals can either purchase directly on GreeNatr.com or via their Amazon store at full price, free shipping within the US, and after 2 weeks of active use of the product. Further instructions on how to claim the free bottle is printed on the bottles. One and a half acres of forest is cut down every second. In the time that it takes for an average reader to read this paragraph, 9 acres of trees have already been cleared. Trees for the Future has partnered with countless volunteers, businesses, and charitable organizations all over the globe in order to fight this worrying trend. In a report, the organization has planted over 18,800,000 plants and trees from January 2017 to July 2018. 42.2% of which were fast growing trees, 29.4% were timber trees, and 29.4% were fruit and nut trees. What this means is that over 30,000 families have benefited from this environmental campaign, giving them food security and financial independence. To support this drive for a better planet and self-improvement by weight loss, improved focus, and body detox, visit www.GreeNatr.com and order your first weight loss supplement bottle or any other all-natural health supplements - and receive a free one after two weeks.